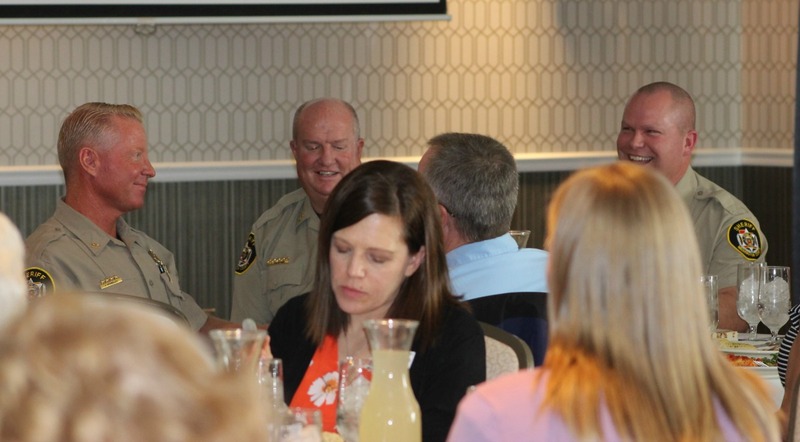 ST. GEORGE — Washington County Sheriff Cory C. Pulsipher discussed crime, rehabilitation efforts and the challenges facing law enforcement at a luncheon Thursday for the Washington County Republican Women. 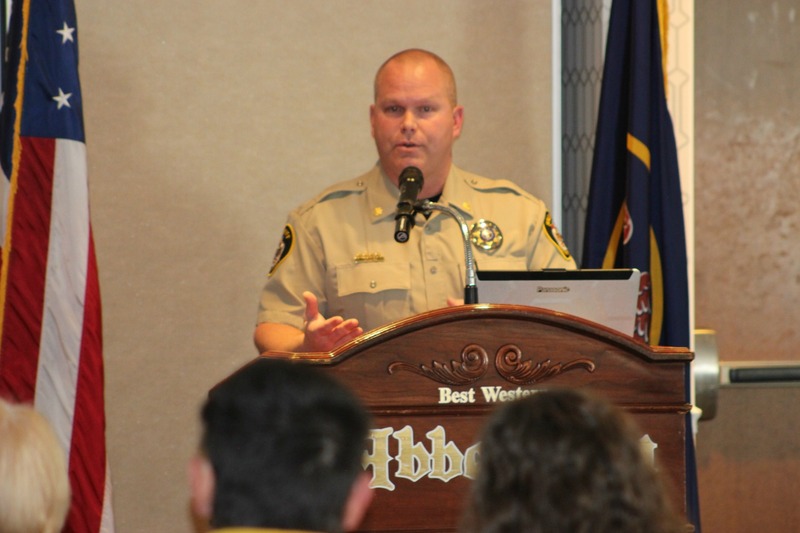 Pulsipher was the keynote speaker, but Undersheriff James Standley and Chief Deputy Nate Brooksby also spoke at the event held at Best Western Abby Inn. They addressed issues that affect not only law enforcement, but residents as well. 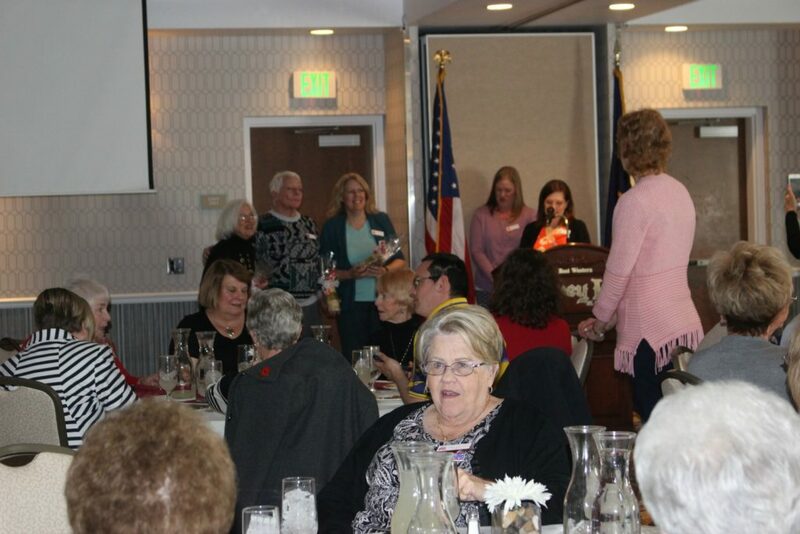 The Washington County Republican Women seeks to promote an informed public through political education and activities, including a monthly meeting with guest speakers. 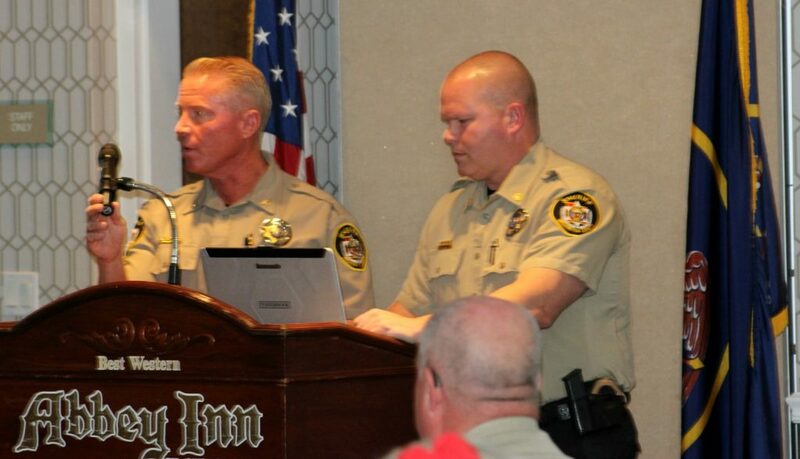 Pulsipher, who was first elected in 2011, has worked for the Sheriff’s Office for more than 32 years in a county that has been recognized as one of Utah’s safest. He said certain crimes have been on a steady decline and the number of people booked into the jail has followed that trend. In 2005, the number of individuals booked into the jail peaked at more than 12,700; by 2018, the number had dropped to less than 8,670. Even so, jail staff are working harder in both intake and release due to the reinvestment initiative that allows judges to be better informed before setting the bail amount or releasing an inmate using additional information, including criminal history. Corrections staff process that information when the inmate is booked into jail. The initiative was developed, in part, to address the opioid epidemic that has changed how drug offenses are processed through the system, with a dramatic push to get first-time offenders and those arrested for drug-related crimes the help they need much earlier rather than waiting until they are convicted, he said. “Incarceration for drug offenders is not working and we needed to do something different,” Pulsipher said. One discovery that led to the change is the strong tie between substance abuse and mental health issues among the majority of those arrested, which has prompted further changes at the jail. “Our opioid death rate is twice the national average – we have a large problem here,” Pulsipher said. 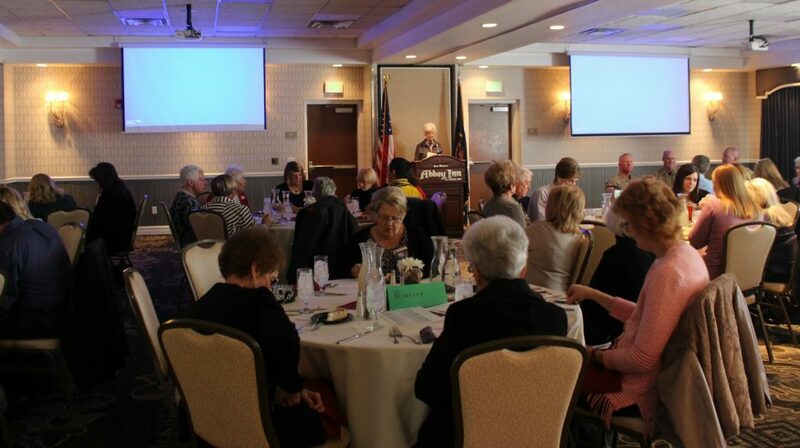 Legislative changes are taking place but “that can only do so much,” he said, adding that it’s time to start looking at the home and the community to identify factors that are creating an environment where this type of behavior can occur. To address that issue on the corrections side, the jail now employs a clinical psychologist and licensed social worker to work with the inmates and assist in getting them into a detox. Plans are in the works that involve other agencies and establishing connections that can provide detox and other court support services aimed at diverting these individuals out of the court system and get them the help they need. “We have the support from the Washington County Attorney’s Office and the County Commissioners and we are pulling the resources together to see how we can help these individuals,” Pulsipher said. As Washington County’s population continues to increase, the number of arrests and incarcerations could reflect that growth without a focus on rehabilitation. “We are going to be releasing these people back into the community and we need to find a means to get them whole so that they become functioning members of society,” Standley said. Even with the general downward trend in crime, there are some crimes that are on the rise, many of which are crimes of opportunity, including theft and identity theft-related crimes. To thwart those, Brooksby recommended that individuals “be aware of your surroundings” – not to the degree where it reaches paranoia. but if something doesn’t look right it probably isn’t right. Part of that awareness involves keeping property secured, including removing valuables from your vehicle and locking it. When criminals find credit or debit cards in a vehicle they often use them to purchase Visa gift cards, which are untraceable funds. The need to increase awareness is heightened by the fact that the Sheriff’s Office investigated more than 800 burglaries last year involving either a business, home or vehicle. Brooksby recalled an incident in which several suspects were traveling through Utah from Georgia and went to the parking lot of a gym where they allegedly broke into vehicles, a number of which were unlocked. They took credit cards and other valuables, then left the state. Increased awareness can be a vital component to addressing larger events, including domestic terrorism, whether in the workplace, school or other public places. Brooksby mentioned the attempted bombing at Pine View High School in March as an example, saying, “We were one step away from having a very serious incident at the high school” if the bomb had been built correctly.